Last summer, “06880” ran a story on Misty Mae. The old, blind, long-haired chihuahua was found in a beat-up dog carrier on a Winslow Park bench. Westport Animal Control, Schulhof Animal Hospital, and Westport Animal Shelter Advocates came to the rescue. They sheltered, treated and loved the abandoned animal. Kayla Damiano with Misty Mae. She set up a GoFundMe page that raised $1200 for the dog’s eye and dental work. Then they searched for a loving home. The other day, WASA president Julie Loparo reported success. Volunteers drove to Enfield, near the Massachusetts border. They met the couple who will adopt Misty Mae. They’re skilled and knowledgeable in the care of special needs dogs (they already have 3). Their home is warm and inviting. Later this month, WASA funds surgery for Misty Mae. After recovering at Schulhof, she heads to her new home. 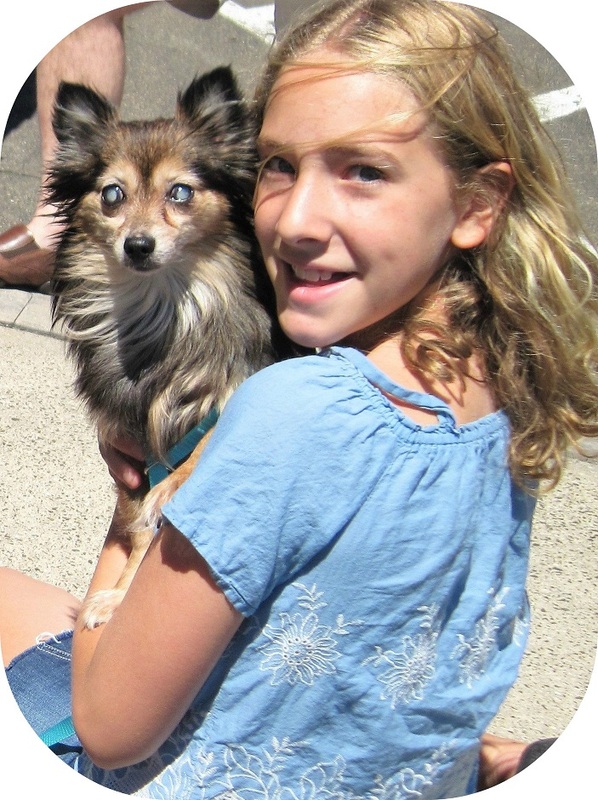 Julie Loparo — president of Westport Animal Shelter Advocates — loves dogs. Winslow Park may not be the place where everybody knows your name. But they do know your dog’s name. Regulars at the downtown park are quick to share stories about their own dogs, and answer questions about yours. When a dog gets distracted by a squirrel or another canine buddy, the group watches closely until it’s reunited with its owner. Just another day at Winslow Park. Several weeks ago however, the crowd discovered a little one that’s a poster dog for the ever-growing number of abandoned dogs (and cats) in Connecticut. 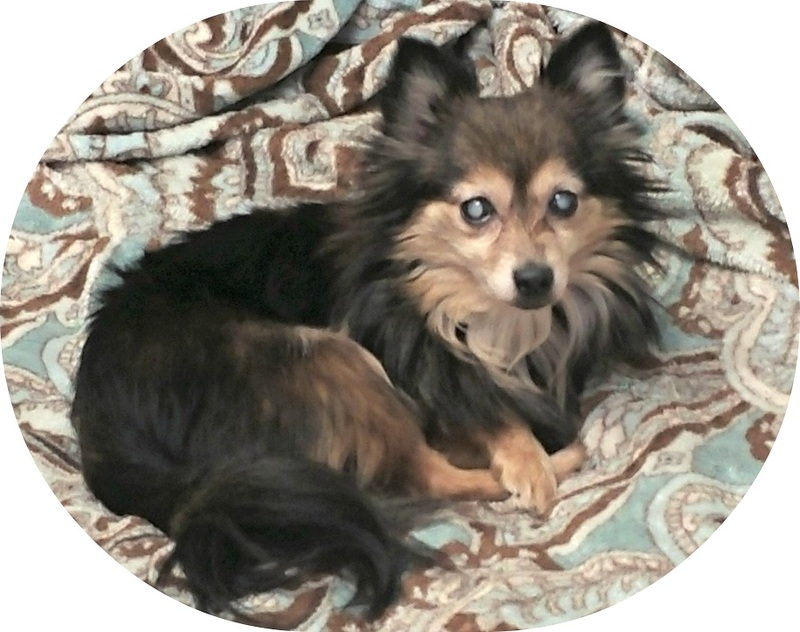 A senior, blind long-haired chihuahua was found in a beat-up dog carrier on a park bench. How she got there, and how long she’d been there, were mysteries. But clearly, she’d been left there. Westport Animal Control quickly responded. She was transported to Schulhof Animal Hospital for evaluation and care. Once stabilized and treated for a possible flea situation, she was brought back to Animal Control. It became clear she was not keen on the food being served (though it’s very high quality dog food). A Westport Animal Shelter Advocates volunteer prepared healthy meals of organic meats and vegetables. The little one liked that. On Wednesday, WASA officially adopted “Misty Mae” into their foster family. With the help of Schulhof’s staff, WASA will bring her up-to-date on vet care, with vaccinations, and detailed blood and dental work. They’ll consult with eye specialists, to see if she’s a candidate for cataract surgeries. They’ll also search for a new, loving home for Misty Mae. She’s sweet, quiet, and 10 to 12 years old. She has not been reactive to other dogs, though additional testing will be done. She loves to be brushed and cuddled. She’s a lap dog in every sense of the word. For additional information about Misty Mae, call 203-557-0361, or email wasa1@optonline.net. To donate for her vet care, click here (and note that you are contributing for Misty Mae). 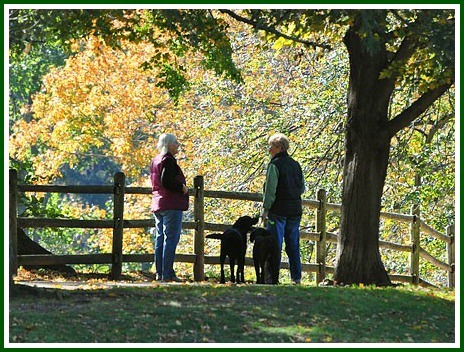 Winslow Park is definitely the place where everyone knows your dog’s name. And Westport is where Animal Control, WASA and Schulhof all come together to help a dog named Misty Mae. In the aftermath of the death of Tina Wessel — the homeless woman known to many Westporters, who died last month — “06880” readers have wondered about the fate of her beloved cat. Tina’s cat — now named Elsie — is a delight. She is approximately 4 years old, healthy…just wonderful. 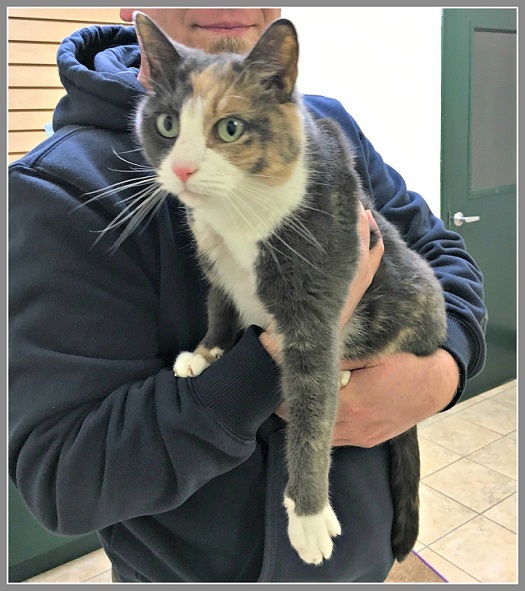 She is temporarily being boarded at Schulhof Animal Hospital, receiving excellent care and attention from staff and WASA volunteers. Now, WASA is searching for a local forever home for Elsie. She will need to be kept indoors for her safety. Potential adopters should email wasa1@optonline.net, or call 203-557-0361. Tina’s funeral will be held today (2 p.m., Friday, December 9), at Christ & Holy Trinity Episcopal Church in downtown Westport.